Howard caught in the middle of PED controversy. Howard makes the risky move of taking this thing to court. 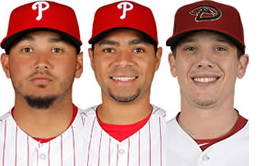 Phillies avoid arbitration with deals for Galvis, Hellickson, and Gomez. The Phillies and Google? It must have been a strange week. Much more is riding on the 2016 season than wins and losses for the Phils.